Manufacturer of a wide range of products which include double window sight flow indicator, sight flow indicators, flow indicator, oil level sight glass, level sight glass and double window sight glass indicator. 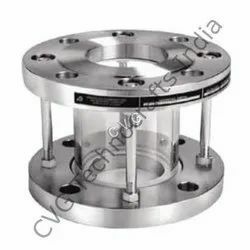 We are counted as the foremost manufacturer and supplier of optimum grade Sight Flow Indicator. The offered sight flow indicator is offered to the customers in broad quantity after examine on predefined guidelines of the market. Our offered sight flow indicator is processed using optimum quality material & available in various sizes, shapes and model. In addition to this, offered sight flow indicator can be availed in various technical stipulations and customized options. In our broad assortment of products, we are manufacturing and supplying a qualitative assortment of Sight Flow Indicators that are ideal for various types of fluids. 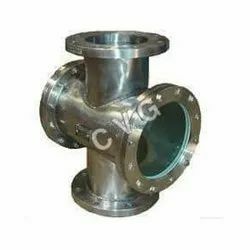 Our products are available in full view, single window with flapper, double window, rotary wheel and in drip tube design to fulfill the diverse needs of our clients. We offer this sight flow indicator in numerous stipulations according to the customer’s needs. This sight flow indicator is processed by utilizing the finest quality material and updated technology. Our team of highly trained quality analyst examines this sight flow indicator on provisions of quality to eradicate all flaws. Standard Length : 175mm Using 150mm Long Both Side Flared And Glass Tube. MOC Of Wetted Parts : MS, 304 SS, 316 SS, PVC, PP. Special Features : Easy Installation, Easy Maintenance, Easy Glass Tube Replacement. 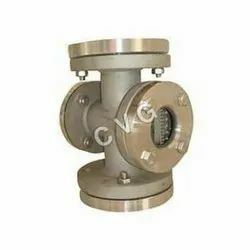 Being one of the notable and trustworthy manufacturer, exporter and supplier, we are engaged in offering a wide assortment of Flow Indicator to our clients. 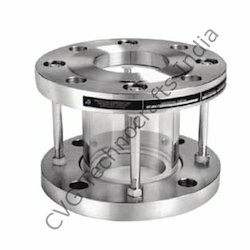 Our highly skilled professionals manufacture this indicator using superlative quality raw materials and advanced technology as per set market quality standards. The offered indicator is used for indicating flow rate. 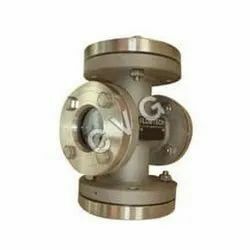 We offer this Flow Indicator to the clients in different specifications as per their needs at reasonable prices. Special Features : Easy Maintenance, Easy Installation, Easy Glass Tube replacement. Size 25 NB to 600 NB.Drip Tube / Rotating Blade / Flapper for special applications. 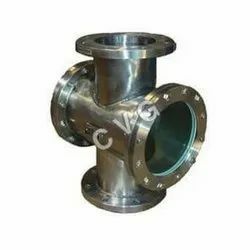 Lining Connections : Screwed / Flanged / Socket weld / TC joint Jacketed for special applications.